Discover world class locations on the North and South Forks of Long Island to photograph while learning about composition, light and focus. Jim is the president of EastEnd Arts. 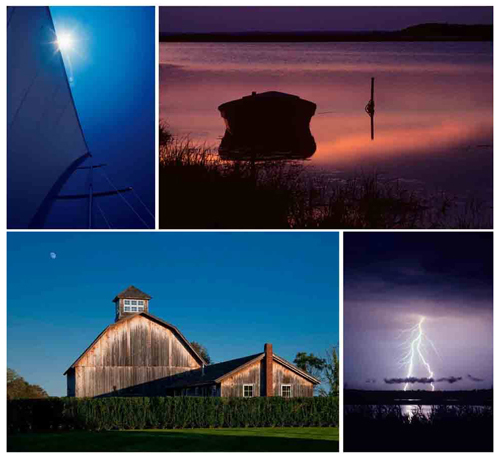 Jim Lennon has been creating advertising photography for regional and national companies for over 38 years. His extensive location photography experience with people and environments have been featured in Thousands of Ad campaigns and corporate communications for regional & national advertising clients. His work has been recognized with awards from Kodak, The Association of the Graphic Arts, The Long Island Advertising Club and Graphic Design Magazine. He has been featured in photographic industry magazines Studio Photography, Industrial Photography and The Photo District News. Jim has taught Advanced and Studio photography at Adelphi University and sits on the advisory board for the photography program at Suffolk County Community College. He has also taught and lectured at Stonybrook University, C.W. Post University, The East End Arts, Nassau Community College, The Southampton Cultural Center and many regional Art and Photography organizations. He is Past President of LI Cares (The Harry Chapin Food Bank), Past President of ASMP-Long Island and is the President of the Board of Directors of East End Arts. Jim Lennon Photographer, Inc. is a full service photography studio located in the heart of the Hauppauge Industrial Park. The facility has a kitchen studio and a separate 50' long drive-in studio, both with 17' high ceilings. Quad Core APPLE G5 Towers connected with High Speed networking give photographers and clients all the digital capabilities necessary for an efficient working environment. Dedicated travel-ready Cameras, Laptops, Lighting and support equipment keep location photography hassle-free. High-resolution NIKON and Hasselblad/Leaf/ Digital Camera systems provide superior photographic images for Advertising, Web, Corporate and Commercial Clients. Experienced digital technicians handle attention to detail, retouching and color correction on every file delivered. The studio is equipped with a Makeup / Dressing room, full working kitchen, prop room, client work area, production area, workshop and over 100 in-stock backgrounds for everything from product photos to large scale productions.